Is AoE II:DE Still Happening? Besides a DE edition for AoE2 being basically overkill since AoE2 already has been milked to the bone and redone, the bad decision making at the top (MS, most likely, referring to the half finished AoE DE and lack of support after release), they are not getting my money anymore. Sure if you still have faith and trust go ahead and buy when AoE2 DE is released. Just don’t feel bad and complain if you are left in dust afterwards. I hear you. My main excitement for AoE II:DE is centered around a remastered soundtrack. Of course, the fact that MS do not use their forum to communicate with their customers means we can only speculate for now. Not only Windows 10 Store is the Problem. I personally buy it and just add a link to my steam so no problem at all can start it from steam. The very big problem is many people asked me can i recomment Age De. and i must honestly say no. Poor performance. Classic Mode has no Zoom so everything is EXTREMLY tiny. Pathfinding is a mess. No Ladder in online. No Match Making nothing what a RTS need to have in 2018. And at last ZERO Support. We got never patches that fixed anything. oh and i have many typos in my german version and some text that is just doubled. I cnat recommend this game to a friend in this state. And Age 2 HD has many problems too. when Age 2 DE has the same problems Microsoft can kill this IP. oh and before i forget it. Age of Mythology the Extended editon is a JOKE. Has more problems than any early acess game on steam. Honestly I think AoE II: DE would be a hit as long as the Devs made it clear ahead of time that they listened to the players and fixed the major performance issues that plagued AoE: DE and AoE II: HD. Isn’t it worrying that we haven’t heard absolutely nothing for AOE:II DE for so long? Is it still made? I mean it’s not even a major new title, just a remaster, not their next big thing. What’s keeping them so silent about it? I’m starting to wonder if MS faced some serious internal issues with the reviving of this franchise. Vapourware, same as AoE IV. If I were to speculate, they will most likely reveal it at the pre-E3 Microsoft show, just when the AOE2 big Microsoft sponsored tournament finishes (Grand finals are on 8th of June). And we will get new AOE4 info probably at Gamescom 2019. Hi everyone. here is a sign of what we will wait for “soon”. First news article I have seen based upon a GIF response. Sooner™ or later™ for sure. They aren’t showing it because they know that it’s heavily unfinished, and they’re scared of showing the product off at this stage. It would be great for Microsoft to release some kind of update. There are a lot of people anticipating this release. AOE: DE was a hit for such an old title. 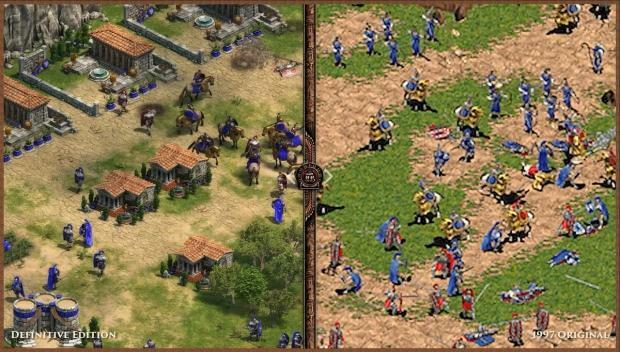 My friend and I both bought it and played it quite a bit, but eventually found ourselves reverting back to AOE II: HD. Any input from the forum mods or dev team would be greatly appreciated. Hi NoUseMerk, Follow the official Facebook and Twitter accounts for the Age of Empires franchise for news about upcoming titles. I hope we get some news on this and AOE4 soon. I don’t think the unknown DLC has anything to do with Age of Empires 2 Definitive Edition. The game will probably not even be available on steam but in the Microsoft Store. 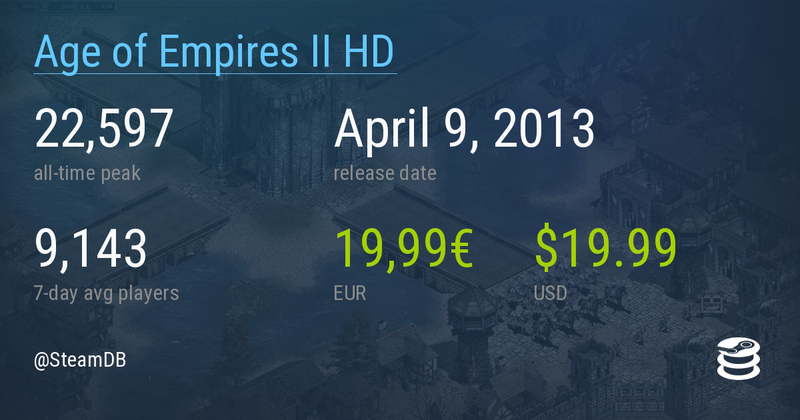 I hope Age of Empires 2 Definitive Edition is still in development and we will hear some news about it soon. But the fact that they announced news and then did not tell anything gives me a bad feeling. Well, the fact that they announced Halo: MCE’s availability on Steam does suggest there is some possibility of AOE 2 DE coming out there too. Maybe. I bet there is going to be a lot of happy people. 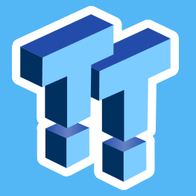 I wish i could be one of the testers, when that could be available! Do i want many things?